Kentucky athlete Tim Murray can be easily considered one of the most accomplished, successful and least known athletes in Kentucky. Which is odd, really. He makes a remarkable first impression. And it has very little to do with that fact that he’s a bit over four feet tall. As an athletic trainer and physical therapy assistant at Harrison Memorial Hospital in Cynthiana, Kentucky and at Paris High School, Murray has contact with people who are often surprised by his appearance — at first. For example, when he started as an athletic trainer at Paris High School, the athletes were often shy when they first met him. Murray exhibits such an affable and confident personality, he quickly gains people’s trust. In addition to his friendly demeanor and genuine desire to help people, Murray is a driven athlete. It is this personality attribute that has influenced his career choices and set the foundation for his athletic endeavors. In 2009 at the World Dwarf Games in Belfast, Ireland, Murray set a world record for athletes of his category with a bench press of 286 pounds. He was a graduate student at Murray State University at the time, earning a masters degree in human development and leadership. For the last 11 years, Murray earned a gold medal in his division of shotput from the Dwarf Athletic Association of America (DAAA) national games. That streak of gold, however, came to an end at the DAAA 2014 National Open in San Diego earlier this month. He was edged out of the top spot on the podium by a good friend from the United Kingdom, he said, and had to console himself with a silver medal. “It’s a wake up call,” Murray said. After winning the gold in his shotput category during the 2013 World games in East Lansing, Michigan, the 27-year-old athlete worries that he may have become complacent. At the 2014 nationals he won a silver medal in shotput, and bronze medals in javelin, discus, and team boccia. Murray accepts that these results are notable. But it was the first time that he did not earn at least one gold medal in track and field events and that chafes on him a bit. Murray has been actively competing in DAAA events since he was nine years old. He was born and raised in Edgewood, Kentucky. He comes by his love for sports naturally. His father and brother both played baseball through their college years and have continued to be active. His sister is a distance runner and enjoys competing in “tough mudders” marathons these days, he said. Being a competitor is a Murray family trait, he said.Though he is the only little person in his family, he was never discouraged from participating in sports. “The only thing my doctor said was ‘no football.’ Other than that, I was involved in any sport that interested me,” Murray said. At Scott High in Covington, he played baseball and was on the swim team. There was no special concessions made for him. He played at the same level as his taller peers. “I had to earn my way on the field the same as anyone else,” he said. When he became a Scott High freshman, being a little person was no longer a novelty among his friends and teammates. They had known him all their lives. “My friends have no sympathy for me at all. When we played, man, they did not hold back,” Murray said with a laugh. Despite the opportunity to play at the high school level, Murray appreciates what the DAAA gives to athletes like himself. “I’m very lucky to have been a member of the DAAA chapter in Greater Cincinnati,” he said. 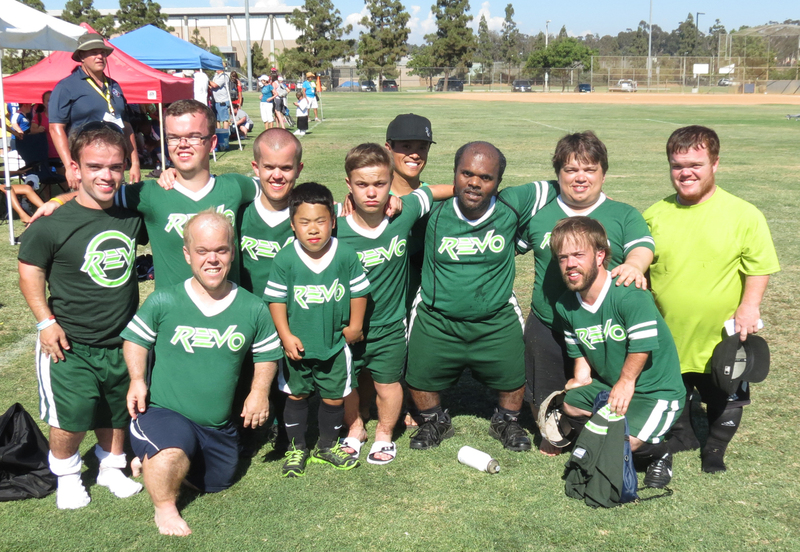 In the world of the dwarf athletics association, all ages and all body types are given a chance to compete on a level playing field with their peers. DAAA national games coincide with the Little People of America (LPA) annual conventions. The DAAA national open, which began in 1986, has become very popular and the competition more intense as the numbers of athletes increase. Murray excels in individual events, but he’s also a team member in basketball, soccer and volleyball. The games only last five days and are quite a test of an athlete’s stamina. In team events, the games are all played within the span of a single day, Murray said. If a team gets to a medal game in soccer or basketball, for example, they have usually played five to six consecutive games. “It’s a real iron man type competition. I am glad to see old friends, but by the end of nationals I am wiped out,” Murray said. It has been personally gratifying to witness the national and world games grow larger with each succeeding year and he hopes to still be a competitor when the events start attracting major commercial sponsors. These games are very important, he said, especially for children who are diagnosed with some form of dwarfism. “It’s a gene thing. But small children are already challenged with just being different. Being able to compete and succeed in sports at any level, helps them accept and love who they are,” Murray said. Murray is already starting training to return to his place at the top of the podium for shotput. And while he’s at it, he might as well get another for discuss.